Twenty years, a thousand pages, and now a single beautiful edition of Arundhati Roy's complete nonfiction. 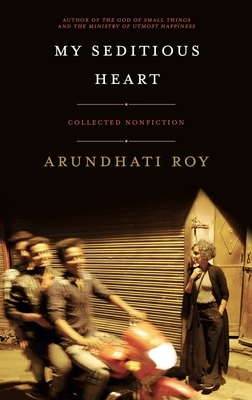 Bookended by her two extraordinary novels, The God of Small Things (1997) and The Ministry of Utmost Happiness (2017), My Seditious Heart collects the work of a two-decade period when Arundhati Roy devoted herself to the political essay as a way of opening up space for justice, rights, and freedoms in an increasingly hostile environment. Radical and superbly readable, the essays speak in a voice of unique spirit, marked by compassion, clarity, and courage. Roy offers a powerful defense of the collective, of the individual, and of the land, in the face of the destructive logic of financial, social, religious, military, and governmental elites. In constant conversation with the themes and settings of her novels, the essays form a near-unbroken memoir of Arundhati Roy's journey as both a writer and a citizen, of both India and the world, from "The End of Imagination," which begins this book, to "My Seditious Heart," with which it ends. Arundhati Roy studied architecture in New Delhi, where she now lives. She is the author of the novels The God of Small Things, for which she received the 1997 Booker Prize, and The Ministry of Utmost Happiness.